Satisfactory, the new game from Goat Simulator developer Coffee Stain Studios, will take a pretty significant amount of time to complete. In an interview with PCGN at E3 earlier this month, Satisfactory’s game director, Oscar Jilsen, revealed that it’ll take players several days of play time to complete the game’s ultimate goal. 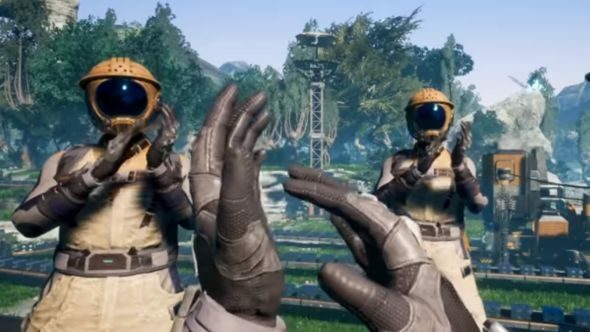 In case you missed it at E3, Satisfactory is “an FPS open-world factory building sim,” in which “you play as an engineer on an alien planet.” Think something along the lines of Factorio, but more colourful, in first person, and with lizard dogs. Check out our list of the best upcoming PC games. 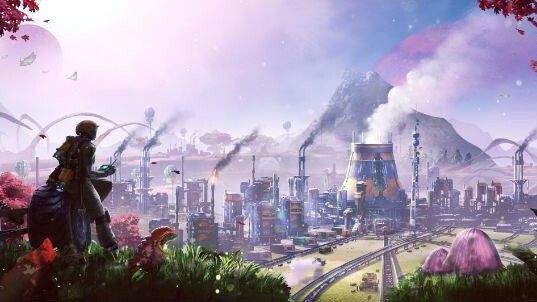 According to the game’s FAQ, your engineer is tasked with completing something called “‘Project Assembly’ – a massive machine for a mysterious purpose.” To do that, you’ll need to conquer the environment of the mysterious planet, construct your factories (which you can do with up to four players in the game’s co-op mode) and eventually build towards the endgame. If that’s something you plan on doing, however, bear in mind that Jilsen says it’ll take you “about 80-100 hours” to do so. That’s quite a long time, of course, topping out at more than three days, even at the lower end of Jilsen’s estimate. And that’s just an average. To compare Satisfactory to Factorio once again, How Long To Beat suggests that an average playthrough of that game will take you about 43 hours. That’s still a significant chunk of time, of course, but it’s just a little over half the investment that Coffee Stain seem to be asking for. If you fancy cutting that time down, I’d recommend grabbing some engineer friends and working towards Project Assembly together.